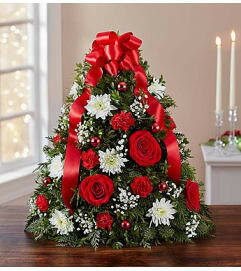 Make a huge impression this holiday with our truly original tree-shaped arrangement that puts the "wow" in their winter wonderland! 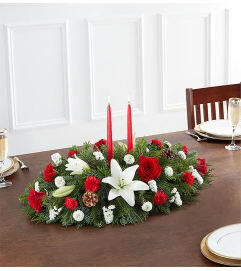 A lush and luxurious gathering of fresh red or multicolored roses, baby’s breath, boxwood and assorted Christmas greens is hand-designed and trimmed, then beautifully decorated with ornaments and lights. 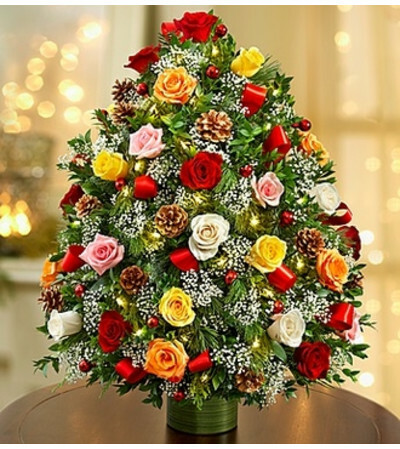 Standing at an impressive 4 feet tall, it just may become their new Christmas tree this year!